Bipasha Basu looks on as the inaugural lamp is lighted at the Indo-German Urban Mela in Pune. Diana Penty, the 'Cocktail' girl, looks so different in this photograph. The pic is a part of her covershoot for the January 2013 issue of Verve. Priyanka Chopra and Bollywood debutant Ram Charan Teja shoot for 'Zanjeer' remake. 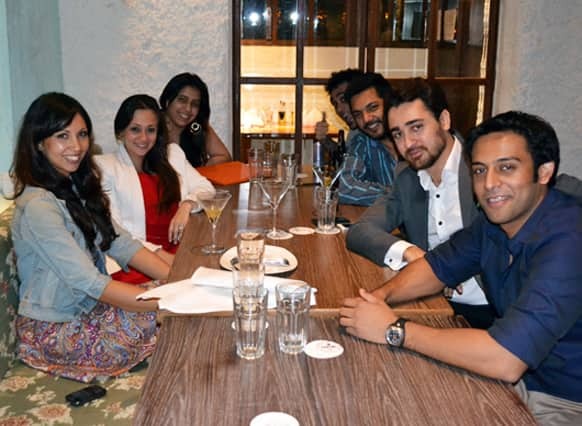 Bollywood actor Imran Khan (in a grey suit) is clicked having a quiet dinner to celebrate his birthday with his wife Avantika (in a red dress and a white blazer) and a few close friends at Cheval in Kala Ghoda, Mumbai. 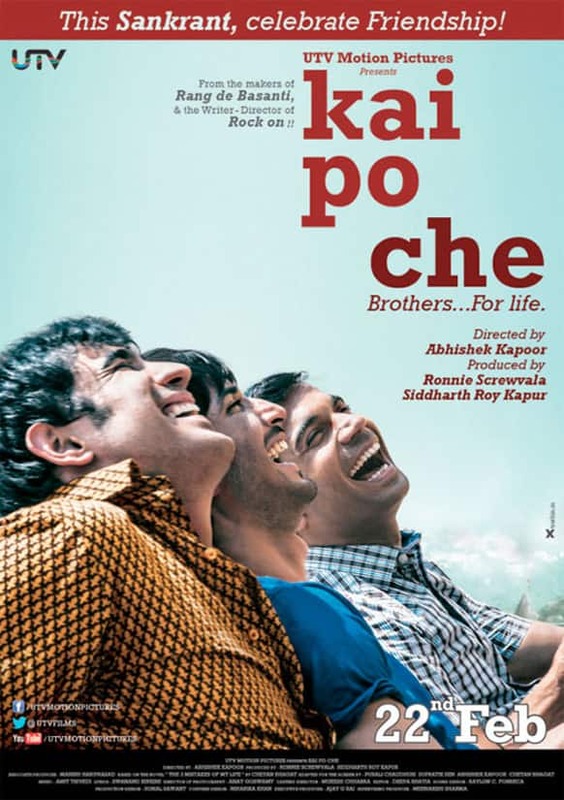 On the auspicious ocassion of Makar Sankranti, UTV Motion Pictures have released this new poster of their next film 'Kai Po Che'. The three main leads of the film are seen here sharing a laugh! Actress Kate Hudson arrives at the Weinstein Company Golden Globe After Party at the Beverly Hilton Hotel, in Beverly Hills, Calif.
A model presents a creation from Peruvian designer Sumy Kujon's fall/winter collection during Fashion Week in Hong Kong. Hayden Panettiere arrives at the InStyle and Warner Bros. Golden Globe After Party at the Beverly Hilton Hotel, in Beverly Hills, Calif.
Actress Julianne Moore poses with her award for best actress in a miniseries for "Game Change" as she arrives at the HBO Golden Globe After Party at the Beverly Hilton Hotel, in Beverly Hills, Calif.
Actress Kristen Bell arrives at the 70th Annual Golden Globe Awards at the Beverly Hilton Hotel, in Beverly Hills, Calif.
AnnaSophia Robb, star of the television series "The Carrie Diaries," makes a point as fellow cast member Austin Butler and executive producer Len Goldstein look on during a panel discussion on the show at The CW Winter TCA Tour at the Langham Huntington Hotel, in Pasadena, Calif.